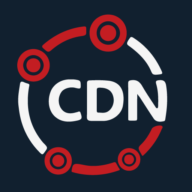 How can you integrate CDN with Joomla!? Download the latest version of Joomla CDN plugin. Login to the Joomla Admin Panel. Navigate to Extensions > Install/Uninstall. Upload the plugin via Browse. Navigate to Extensions > Plugin Manager. Click into System - CDN plugin for Joomla!. Enable the plugin and insert the CDN URL into CDN URL Domain.